February is Black History Month – a time to look back on the lives of African-Americans who have made a profound impact on our society. Over the next few weeks we will be reflecting on the lives of several African-American pioneers of the Right to Life Movement. We will, of course, write about the legendary Dr. Mildred Fay Jefferson, the first Black woman to graduate from Harvard Medical School and three-term president of National Right to Life. 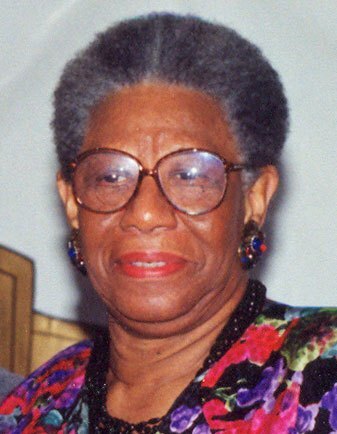 But today we turn out attention to the late Erma Clardy Craven. As it happens I knew Erma back in Minnesota in the 1970s. A genuine one-of-a-kind, Erma’s kindness, her help to young pro-lifers (like me), and her infectious laugh are memories that remain fresh in my mind. A while back, Carol Tobias, president of National Right to Life, wrote about Erma. Mrs. Tobias explained that Erma was a vocal human rights activist who served on many boards, including the National Right to Life Committee and NRLC’s state affiliate, Minnesota Citizens Concerned for Life. She was the kind of woman that when she spoke everyone–I mean everyone– stopped to listen. “Throughout the course of American history, the quality of human life has often been improved at the expense of the weak and oppressed. The tragic awareness of this reality leads one to the inexorable conclusion that the quality of life has never been a universally applied concept. This has never been so true as it is today in the move toward human abortion. “It takes little imagination to see that the unborn Black baby is the real object of many abortionists. The move toward the free application of a non-right (abortion) for those whose real need is equal human rights and opportunities is benumbing the social conscience of America into unquestioningly accepting the ‘smoke screen’ of abortion. The quality of life for the poor, the Black and the oppressed will not be served by destroying their children. By keening understanding the menace of Planned Parenthood, the leading provider of abortions in the United States, Ms. Craven was ahead of her time. The modern Planned Parenthood has identified its “core clients” as “young women, low-income women and women of color.” Small wonder that Black women have a much higher overall abortion rate. The U.S. Centers for Disease Control has found that black women have an abortion rate at least twice the national rate, and more than three times that of white women.